And a few months ago, Soundarya received her first award as Best Debutante at the Jharkhand International Film Festival. Bollywood actresses like Priyanka Chopra, Deepika Padukone have already marked a place in Hollywood and following the lead is the actress Soundarya Sharma. Do you know who she is? No, read on then. Soundarya might be an unknown face for Hollywood but the actress has been a part of two films in India. The young actress was seen in Ranchi Diaries with Anupam Kher, Jimmy Sheirgill and Meeruthiya Gangsters. She has already received an award for her performance in Ranchi Diaries. And a few months ago, she received her first award as Best Debutante at the Jharkhand International Film Festival. Earlier this year, she had recorded a cover of Shah Rukh Khan’s hit ‘Tujhe Dekha Toh Yeh Jaana Sanam’ to support his Indian Premier League (IPL) franchise Kolkata Knight Riders. Let’s have a look at Soundarya Sharma Instagram pictures. 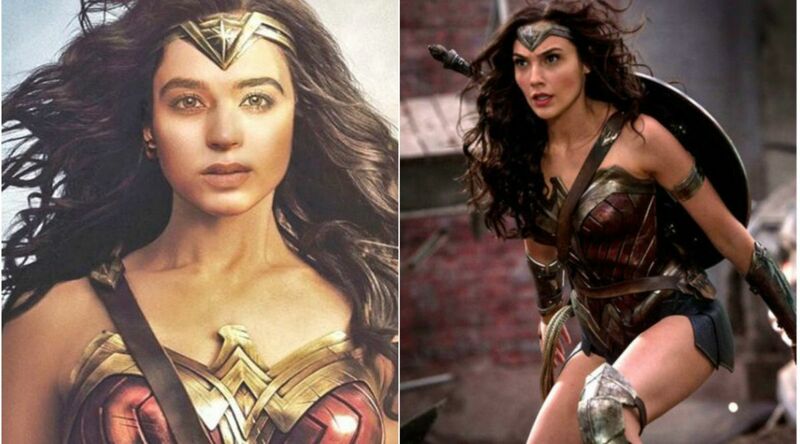 Wonder Woman is all set to be back with the second installment and Soundarya Sharma recently announced that she is indeed a part of the Wonder Woman franchise. The information about her role is not yet revealed. She will start off the shoot for the same by the end of the October. The film is slated to hit the theatres next year and apart from Gal Gadot, the film also stars Chris Pine.